The Goodwood Festival of Speed ​​has once again demonstrated its uniqueness. All of the four days had been sold out to the last ticket. Obviously, nobody wanted to miss the incredible races with very rare and historic vehicles. In addition, there were events like a race between a Porsche and the worlds fastest drone or the very first lap of an unmanned car. 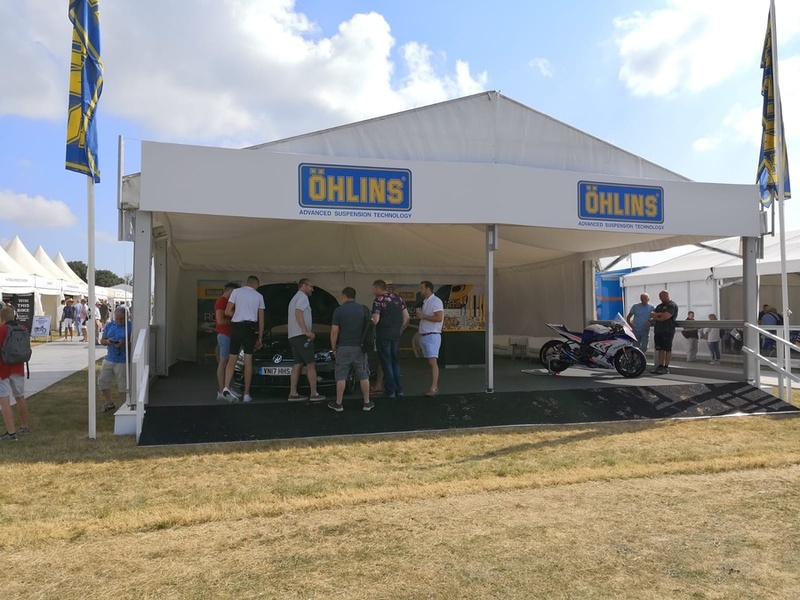 Again, Öhlins DTC has been exhibiting at the event (stands 110/111). 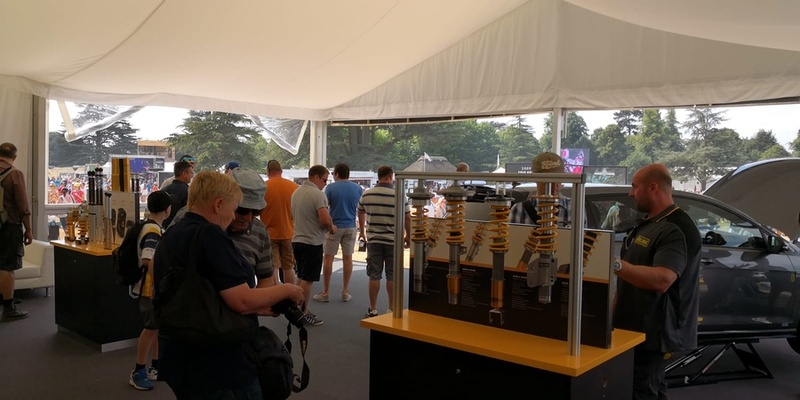 Resuming Goodwood, we can say we had many interested visitors and challenging conversations at our stand but we also offered some high light to the audience. 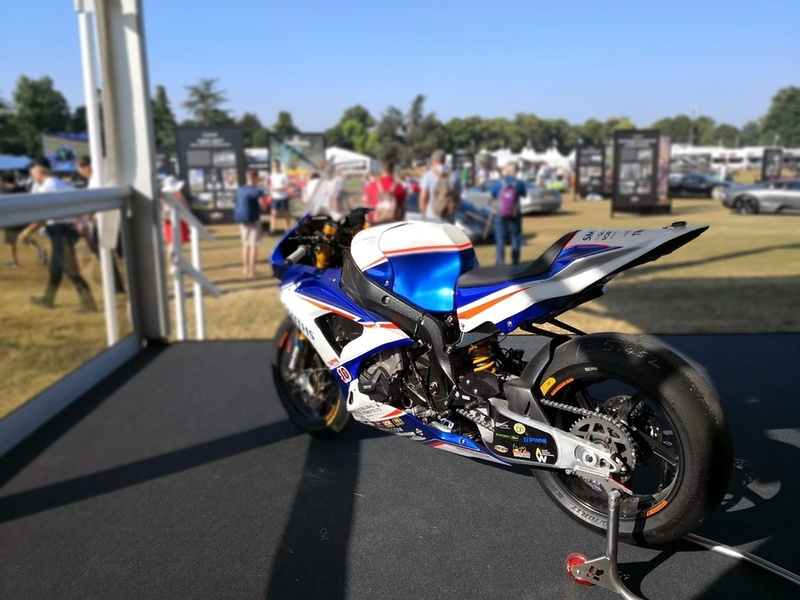 Smith Racing has given to us their original IOM TT bike for display and Peter Hickman, this year's Tourist Trophys fastest rider, has been at our stand several times on Saturday and Sunday to sign autographs and to take pictures with his many fans. 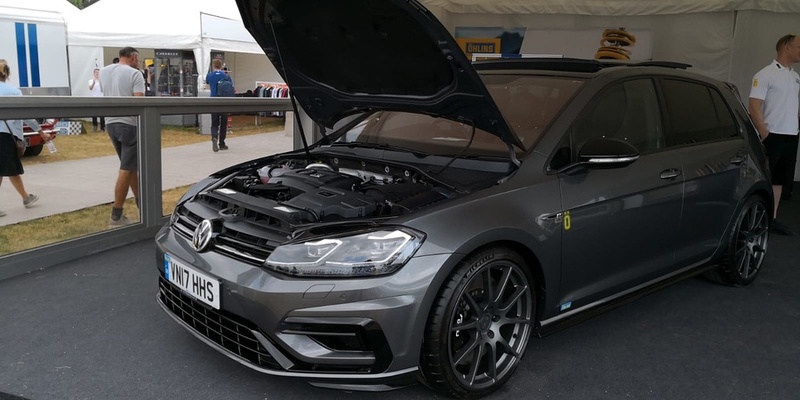 We would like to thank Simon Harper, who has given us his Golf R as a display car and has supported our team on site all days. 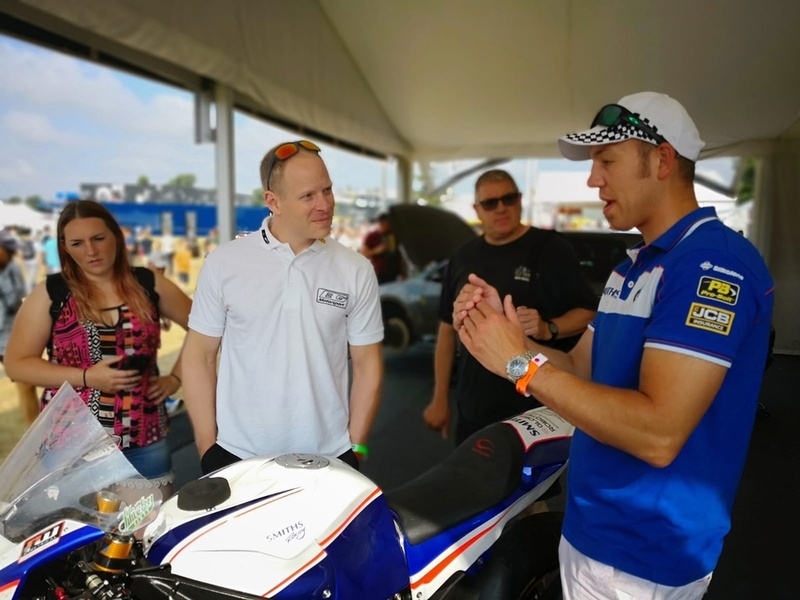 We would also like to thank our official service center Ben Fricker, BG Motorsport and Russell Walton, Mick Gardner Racing as well as our Product Specialist Automotive Matthias Meister for their great support on site. See you next year at the Goodwood Festival of Speed.